This Dog Is Not Allowed To Come Up To The Bed. But He Likes To Misbehave! Your Dog Could Be A Guilty One! Yes, Just Like Him... See What Happen When He Stays At Home Alone! 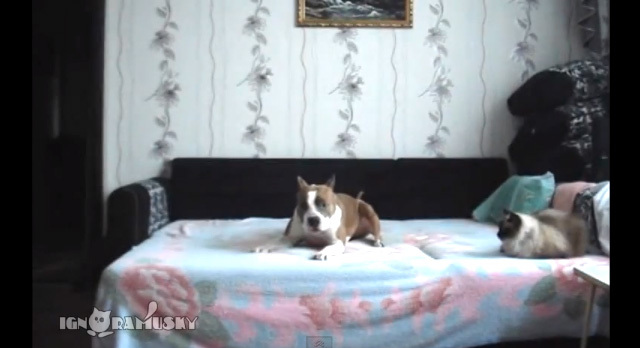 This pit bull is banned from the bed. And he follows the rule until his owner is at home. 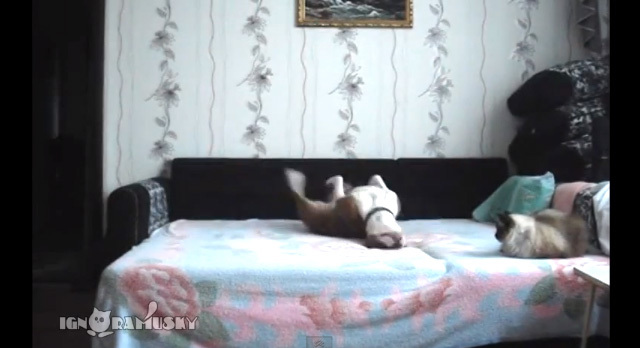 But when his owner leaves, he thinks no-one can see him, so he decides to have fun! 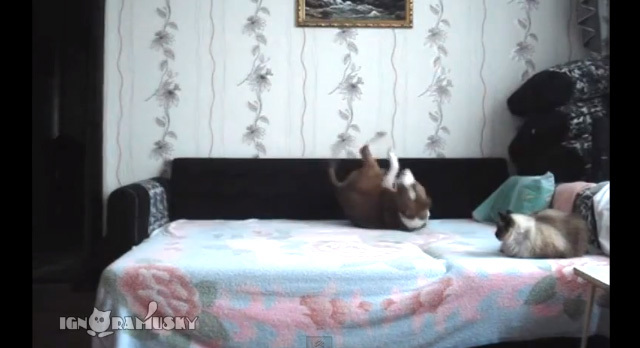 But he can't know an hidden camera is filming him rolling around on the bed! 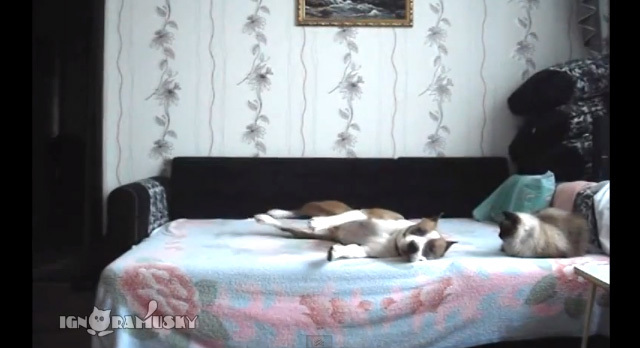 And the cat on the bed is even funnier! He is so relaxed... he just attend the show quietly!